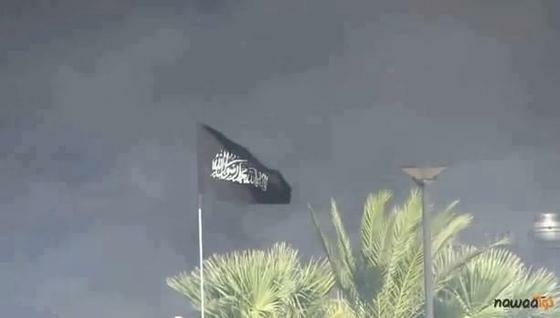 Al Qaeda’s banner flies over the US Embassy in Tunisia. Image posted on Facebook. On Sept. 14, the US Embassy in Tunis came under assault. The American staff evacuated the embassy unscathed, but the attackers hoisted an al Qaeda-style black flag high above the emptied compound and ransacked American property. The embassy siege eventually led to a tense standoff at the El Fateh mosque in Tunis, after the man suspected of leading the embassy attack gave a rousing speech to his followers inside. That man is Seifallah ben Hassine, otherwise known as Abu Iyad al Tunisi. Hassine has long worked with and for al Qaeda. After fleeing Tunisia in the 1990s, Hassine ended up in the UK, where he studied under Abu Qatada, a well-known al Qaeda cleric. Like so many other international jihadists, Hassine made his way to the Taliban’s Afghanistan, weaving a web of connections to nefarious actors across the globe. Hassine has not denied his longstanding relationship with al Qaeda, according to press accounts. Today, Hassine leads Ansar al Sharia Tunisia, a radical Salafist group with at least hundreds of followers. The group’s muscle is enough to challenge the Tunisian government’s authority. Even though the El Fateh mosque was surrounded by government personnel, dozens of Hassine loyalists escorted him out of the building. Hassine evaded capture and remains at large. The rise of Ansar al Sharia Tunisia, as well as groups with the same brand name in other countries, presents a new challenge to the US and its allies. In other countries, such as Yemen, the ties between the Ansar al Sharia chapter and al Qaeda are clear. 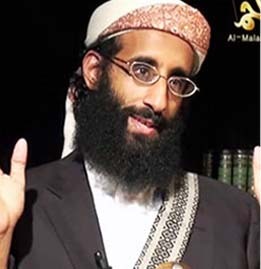 The emir of al Qaeda in the Arabian Peninsula (AQAP) is Nasir al Wuhayshi, who also heads Ansar al Sharia Yemen. There are multiple groups operating under the Ansar al Sharia brand in Libya, including a militia that is suspected of launching the attack on the US Consulate in Benghazi on Sept. 11. 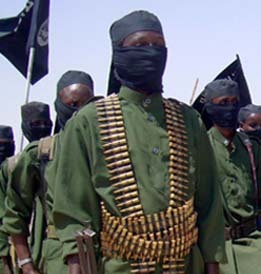 The Ansar al Sharia militia has known ties to al Qaeda, including al Qaeda in the Islamic Maghreb (AQIM). 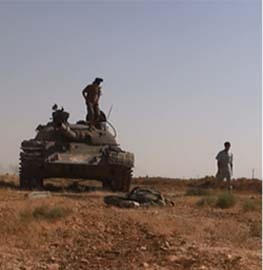 Members of AQIM were reportedly in contact with the Ansar al Sharia militia during the consulate assault. And the Ansar al Sharia militia is headed by Sufyan Ben Qumu, an ex-Guantanamo detainee who has been identified as an al Qaeda operative. Like other Ansar al Sharia chapters elsewhere, there are good reasons to suspect that Hassine’s group in Tunisia remains connected to al Qaeda. Official documents prepared by the US government and the United Nations show that Hassine has long operated as a part of the al Qaeda network. Leaked documents prepared by Joint Task Force Guantanamo (JTF-GTMO) shed additional light on Hassine and other TCG members, highlighting their extensive connections to al Qaeda. In 2000, Hassine became the co-founder of the Tunisian Combatant Group (TCG), which was established with help from Osama bin Laden. 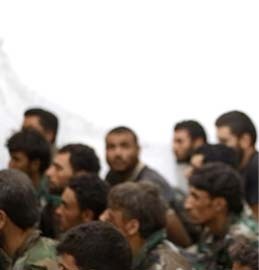 The relationship between the TCG and al Qaeda has been explained by the United Nations, which notes that the TCG was created “in coordination with” al Qaeda. Hassine reportedly met with both Osama bin Laden and Ayman al Zawahiri prior to the Sept. 11, 2001 terrorist attacks. And the TCG was implicated in the Sept. 9, 2001 assassination of Northern Alliance leader Ahmed Shah Massoud, who was killed by two Tunisians pretending to be journalists. The TCG was founded in Afghanistan, but in a matter of months the group became a prolific source of terrorism plots in Europe. 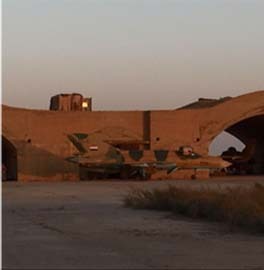 Al Qaeda used the TCG as a tentacle for plotting against Western interests. Italian authorities found multiple phone calls between Sheikh Omar Abdel Rahman and suspected terrorists operating out of the ICI prior to the 1993 World Trade Center Bombing. Sheikh Rahman was subsequently convicted by a US court for his role in the attack. Abd al Salam al Hilah is not the only Guantanamo detainee with ties to the TCG and the ICI. At least five current Guantanamo detainees were members of the TCG. Along with Hassine, all five were allegedly deeply involved with al Qaeda as well. The Guantanamo detainees are Ridah Bin Saleh al Yazidi (internment serial number 38), Adel Bin Ahmed Bin Ibrahim Hkiml (ISN 168), Hisham Bin Ali Bin Amor Sliti (ISN 174), Abdul Bin Mohammed Bin Abess Ourgy (ISN 502), and Lotfi Bin Ali (ISN 894). The leaked JTF-GTMO files for these five detainees contain additional details about Hassine’s career. Hassine was detained inside Tunisia for years, and authorities there questioned him about his relationships with the Guantanamo detainees. Hassine identified all five of the Gutananamo detainees as being present at the TCG’s founding meeting in Afghanistan in 2000. Hassine ran a Tunisian guesthouse in Jalalabad, and the terrorists who stayed there maintained numerous ties to al Qaeda. According to intelligence contained in the JTF-GTMO files, Hassine’s TCG operatives coordinated their activities with Abu Zubaydah, a senior al Qaeda operative who also remains in detention at Guantanamo. 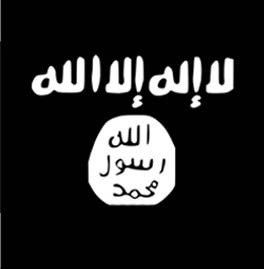 Ansar al Sharia rose out of the Arab Spring in several countries. Despite several chapters receiving international headlines, the organizations’ precise structure, relationships to one another, and allegiance remains the subject of debate. As the history of Ansar al Sharia in Tunisia shows, however, top leaders of the group have extensive al Qaeda pedigrees. Hassine’s role in creating the TCG, with help from al Qaeda, has profound ramifications for our understanding of recent events in Tunisia. Hassine was arrested in 2003 in Turkey for his ties to terrorists there and in Iraq. He was imprisoned in Tunisia, after being convicted of belonging to an al Qaeda-affiliated group, until 2011. He was then freed and has already targeted American interests. AQ’s expectation was these Embassy assualts would prompt an uprising? While I agree that this guy needs to be watched, he is far from being able to challenge the authority of the Tunisian government. One need only look at the GTMO list to see how well North Africans are represented in AQ. The TCG hand in 9/11 (or, more accurately, September 9th, when Masood was assassinated) shows how much UBL relied upon and trusted them with such an important undertaking. As nebulous as the web of ties between the various factions is, in some ways it is a small, small world, as well.